The idea of this edition of IN-SUITE is to make the high Italian tailoring craftsmanship dialogue with the contemporary performances of an enthralling dance body. The result is a dynamic that is very similar to that which AbanoRitz has been telling us for 50 years and where history, passion, authentic craftsmanship and contemporary creativity merge. During the event will be presented the new collection RRARO – Retro’gusto Sartoriale by Roberta Raeli, the designer who, in addition to having donated to her brand the initials of her name, titled it with the adjective that makes her pieces unique pieces and rare, with a vaguely retro flavor. Pieces entirely produced in Italy with fabrics coming from all over the world and also with recycled fabrics, for a reuse that starts from raw materials but at the same time considers the craftsmanship of the territory: rich in “know how” and that must be rediscovered .. The artistic choreography of Grazia La Naia, who will direct the ballet dancers of Pianeta Danza‘s dance corps, will present with brio these garments made with passion, continuous research, care and commitment in which naturalness and refinement are distinguished. These characteristics also reflect the soul of the Hotel where tradition meets innovation for a creative fusion of intent and style. 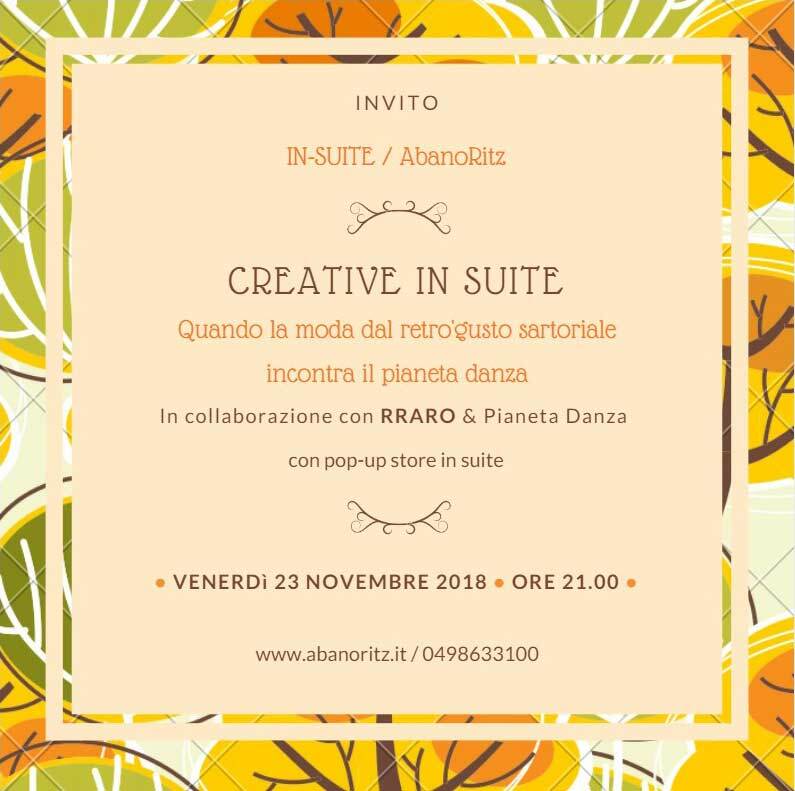 To round off this cycle of meetings, the dancers will invite us to go up in the Creative and Design rooms on the fifth floor to visit the IN-SUITE exhibition and the opening of RRARO’s Pop-up Store which will also be available on Saturday 24 November. 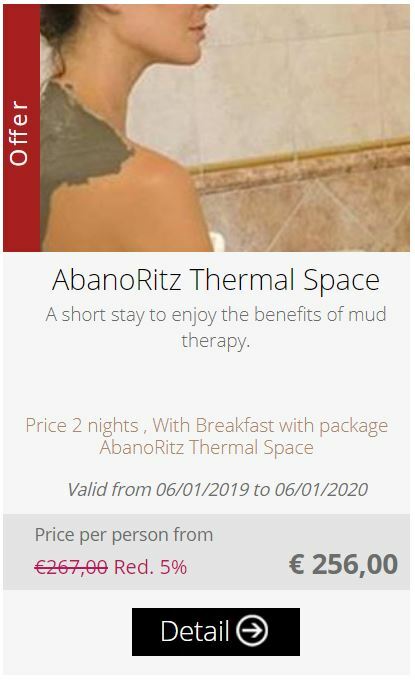 Designed and developed by My B Mood, IN-SUITE events are conceived to give Hotel’s guest the opportunity to enjoy the AbanoRitz staying and get to know its peculiar spaces, rich of 50 years of history. 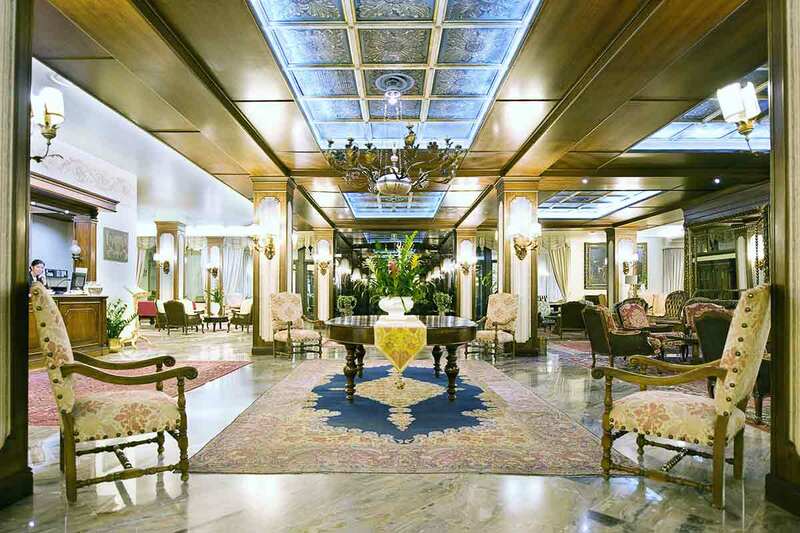 From the wide lobby to the elegant Venetian music hall, to the thermal swimming pool with its unique ceiling of design…Every place can tell us a fascinating story and let us imagine many more. IN-SUITE events will tell them in a creative and elegant way, plus a levity touch such as an otium and leisure place requires, according to its thermal DNA.